Its being reported that two sailors have been rescue by a Celebrity cruise ship after running aground on a remote island in the Pacific ocean. The Celebrity Solstice came to the rescue of two male sailors after their 37-foot boat ran aground on a remote Pacific island near Malden Island, Kiribati. The U.S. Coast Guard states that the boat was badly damaged after hitting a coral reef and unable to be repaired. thanks to a satellite phone one of the men was able to contact his wife which resulted in help from a near by cruise ship. The wife contacted the Coast Guard in Honolulu on Wednesday evening and at the time the Celebrity Solstice was 184 miles away but the closest vessel to the remote island. 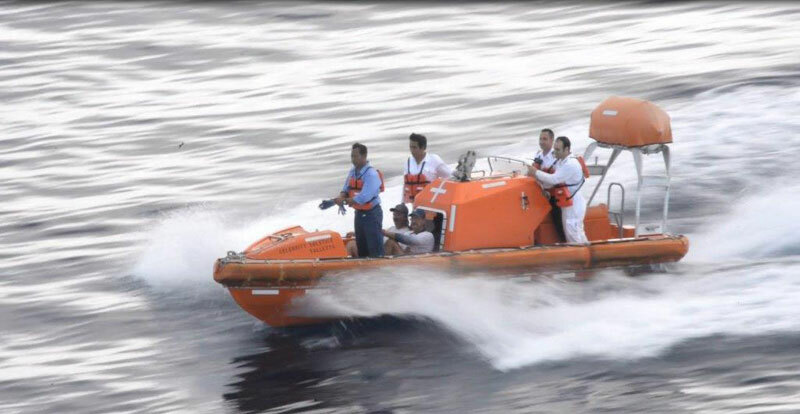 Once the 121,878 gross ton vessel arrived and after the sailors hiked to the other side of the island they were safely transferred to the large Celebrity ship at around 10 am on Thursday. Celebrity Solstice is on a 18 nights Tahitian treasures cruise which set sail from Sydney, Australia on April 3rd. The vessel continued to its final port of call at Honolulu, Hawaii where it will arrive on April 20th. No delay has been announced by the cruise line.